We've got you covered. Our lightweight fabrics allow you to stay cool when it's mild and comfortingly reassures that you will be protected when the weather takes a turn. This jacket takes its design from outerwear traditionally worn by daily. Combine with the features of work wear and trench coat. It's cut in a slimmer fit than the archived style. 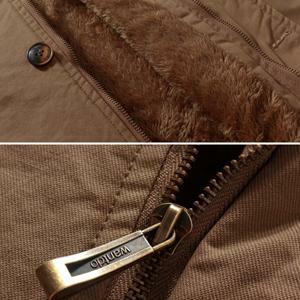 It has all of the traditional design details, like polar fleece lining and contrast color buttons. A covered placket and adjustable cuffs to keep out the wind. This is made of washed cotton, you will really enjoy the quality of fabric. With comfort being one of the most important elements. 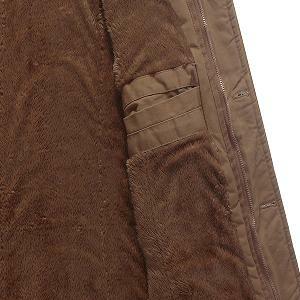 This trench coat is made out of durable cotton and lined in a warm polar fleece. 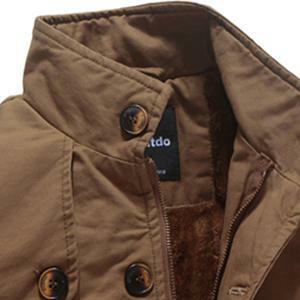 The stand collar is an extra detail that keep away from coldness. You don’t want to be without this unique style. Invisible zipper front closure developed to keep warm in winter. Outside button closure placket. Looks as a classic trench coat.